This is a strong application for mind mapping for any kind of writing project. Students can use the app to brainstorm or organize ideas on a specific topic. It’s colorful and has an intuitive interface that even younger students will find easy to use. This useful K-6 app allows students to choose a puppet and scenery for a quick play. They record their own voices for the puppets. Teachers could have students narrate from the point of view of a historical character such as “puppet George Washington” or fictional characters such as Frog and Toad. Students might also ‘look back’ from the point of view of their grown-up selves. Just like newscasters and politicians, your students can read their work off the teleprompter with this app. It’s a great way to work on reading and writing fluency. Students can set the prompter for different reading speeds. This is a fun app for K-3 beginning writers. Students can read their sentences to the app and Tom the Cat will read their words back to them! It’s a good way to motivate students who are reluctant to read aloud. 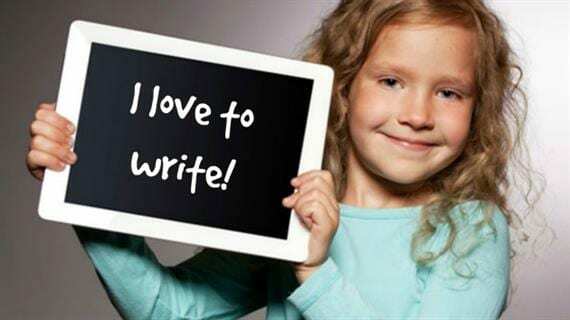 This app is intended for K-2 beginning readers and writers. Kids put words, sounds, and pictures together to make complete sentences. Teachers can customize for sentence length and complexity. With pictures and sound, Sentence Maker is also useful in special ed settings. 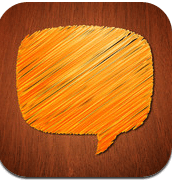 With this app, your reluctant writers can speak into the iPad and have their words magically translated into text. Students will still need to learn how type, write and edit, but this app may help break through writer’s block and help students work on developing fluency in their writing. There’s no debating that kids love Mad Libs and it’s a great way to learn parts of speech and practice using vivid words. After playing Mad Libs, take a piece of student writing and have students replace drab verbs, pronouns, and adjectives with stronger word choices. This app is a word-matching game that helps develop vocabulary and word understanding. Students in grades 1-6 can match rhyming words, prefixes and suffixes, synonyms, homophones, and adjectives in between animated blizzards and hurricanes. If you have a document camera, place the iPad under it to project it on a large screen and the whole class can play together. In Same Meaning Magic, Luna and Leo, young magicians at magic school, toss word stones into the wishing well to earn gold coins and jewels by choosing the best synonym. This app for teaching synonyms is aimed at grades 2-6. It was developed in association with the Virginia Department of Education. Mexican wrestling meets vocabulary learning in this game app with high kid appeal. Kids select a wrestling name and take quizzes portrayed as challenges against wrestling opponents. It’s a fun word app for middle schoolers. This game is a fun way to review grammar. Students are given four sentences and have to choose which sentence is correct. If they score high enough on the grammar questions, they get to play a game and then go on to the next level. Grammar takes practice and this is one way to make that happen.